Hello Parents! We hope this Newsletter finds you and your family in good health. Summer Showcase is already here! How the time flies. 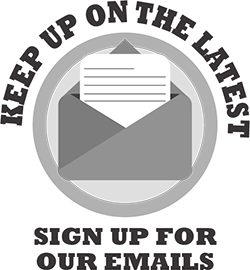 There is a lot going on this month and this Newsletter will keep you up to date will all the latest information. Don't forget to sign up for the new Second Season 2017 Classes. Classes fill up fast so don't put it off! Re-registration can be done online, over the phone and in person. When signing up for the next season July Tuition must be paid in full to secure your spot in the classes. Volunteering to help for the Summer Showcase? Make sure you have filled out the Volunteer Agreement Form and turn it into the front desk ASAP. You will then be emailed a short quiz on the volunteer information. Anyone who has not filled out the agreement will be unable to volunteer for the show. We are not accepting volunteers once the tech rehearsals start. This is so The Lewis Family Playhouse Staff will have an accurate count of the total number of parents backstage for safety reasons. Those not on the list will not be allowed back stage during the shows. Have Questions About the Summer Showcase? Stay up to date with the Summer Showcase Handbook! Rehearsal times have been posted! For the first time in the troupe's history they have been accepted to perform in Hawaii, where they will have the opportunity to put on a show for active duty military officers on the island. They will also be representing Rancho Cucamonga in a cultural dance exchange with a local school. We are committed to raising the funds through Donations and Fundraisers to send the entire troupe to Hawaii for this incredible performance and cultural opportunity. Expressions is a non-profit organization that is dedicated to serving the community by allowing young performers to build self-confidence, to develop teamwork skills and to foster their artistic expression. The troupe is a multi-cultural group comprised of 38 local dance performers aged 8-15. Expressions performs throughout the year at a variety of community events in the Inland Empire and in the Southern California area. They have performed at local senior centers, Loma Linda Children's Hospital, Disneyland, the Epicenter, L.A. County Fair, and Citizen's Bank Arena. A highlight of our year is participating in charitable events that help raise money for Diabetes and Cancer research. The performers are given the opportunity to share their talents with the community, while at the same time experiencing growth in areas of goal setting, personal dedication, skills development, focus, perseverance, and self-discipline. This is all done with emphasis on being respectful of themselves and others and becoming positive role models. We are seeking donations of any amount. We would greatly appreciate any donation that you may be able to offer. Click Here to support these talented performers. If you have any questions please feel free to Email Us. If you own a business or work for a corporation that would like to donate funds please Contact Us as well. June 22nd-June 25th: Summer Showcase "In Tribute"
Thank you for taking the time to keep up to date on all of the events going on at VSPA. As always, if you have any questions or thoughts please let us know. Thank you to our Corporate sponsors for your donations. Did You Enjoy The Cupcakes? Be sure to visit BAKED for more goodies and creations.